Following the conclusion of the St. Petersburg International Economic Forum (SPIEF) on Saturday, Iran's Deputy Oil Minister for International Affairs Amir-Hossein Zamaniniya talked to Sputnik about the prospects for Russian companies developing Iranian oil and gas fields. Iran and Russia inked a roadmap for cooperation in the energy sector at the 21st St. Petersburg International Economic Forum (SPIEF 2017). These are intended to create favorable conditions for joint investment projects between the two countries. The roadmap was signed by Iran's Deputy Oil Minister for International Affairs Amir-Hossein Zamaniniya and Russia's Deputy Minister of Energy Kirill Molodtsov in a meeting between the joint energy taskforces of Iran and Russia at the 2nd meeting of the Russian–Iranian working group for energy cooperation under the permanent Russian–Iranian joint trade and economic commission. The roadmap came as the result of talks behind the closed doors between the Iranian authorities and Russian oil and gas companies, which presented their suggestions for the exploration and development of Iranian oil and gas fields. Sputnik sat down with Iran's Deputy Oil Minister for International Affairs Amir-Hossein Zamaniniya to discuss the issue. "It was my first time participating in the St. Petersburg International Economic Forum. I've used this unique opportunity to talk with the leading representatives of the oil and gas sector and economic structures: I had meetings with several directors of oil companies, and with the energy ministers of a number of countries. I participated in several plenary sessions with very interesting discussions on the prospects for the oil and gas sector," the Minister told Sputnik. One of the most vital issues which was discussed at the Forum, the Minister said, was the impact of the energy sector on the environment and the balance between the energy and the environment. Among the new aspects which were discussed was the role of oil and gas as fossil fuels after 2050. There is every probability that the percentage of oil and gas in the world's energy basket won't remain the same as it is today, at 80 percent, but still will be sizable, he said. Hence there should be serious investments into the development of the oil and gas sector. Interesting and innovative solutions to the oil and gas sector were presented at the Forum. Amir-Hossein Zamaniniya also commented on the meeting of the Russian–Iranian working group for energy cooperation, saying that the 6-7 largest Russian oil and gas companies have expressed their interest in developing nine Iranian oil and gas fields. They have already conducted preliminary studies and have evaluated all the necessary work. Some already have so-called Master Development Plans (MDP). Iran will now review and study these plans. The Minister noted that there is a very high potential for cooperation between Russian and Iranian oil and gas companies. He also expressed hope that the practical phase of cooperation will be launched in the nearest future. In a separate comment on the issue, Iranian Minister of Communications and Information Technology Mahmoud Vaezi, co-chairman of the Russian-Iranian intergovernmental commission on trade cooperation, noted to Sputnik that one of the top priorities of the government of recently re-elected President Hassan Rouhani is the development of cooperation with Russia. The meetings between the Presidents of Russia and Iran, he said, had played an important role in this process. During these meetings they set up very a sincere relationship, one based on trust. The setup of the Russian–Iranian working group on the joint trade and economic commission came as the result of these meetings, the Minister said. He also pointed out the development of the trade and economic cooperation between the two countries, saying that their growth amounted to 80 percent. Large bilateral contracts have been signed in different spheres of cooperation, but the oil and gas sector remains the sector for the largest joint investments. Mahmoud Vaezi also noted that Russia's Energy Minister Alexander Novak has repeatedly visited Iran and had very fruitful talks. 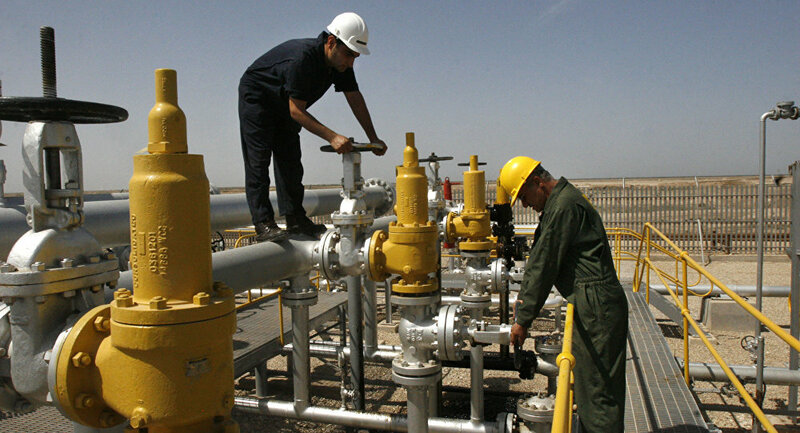 Iran is currently engaged in active negotiations with Russia's gas giant Gazprom on a number of large-scale projects. He praised the results of the Forum and the meeting of the Russian-Iranian working group and noted that the largest Russian and Iranian oil and gas companies have a very promising future.